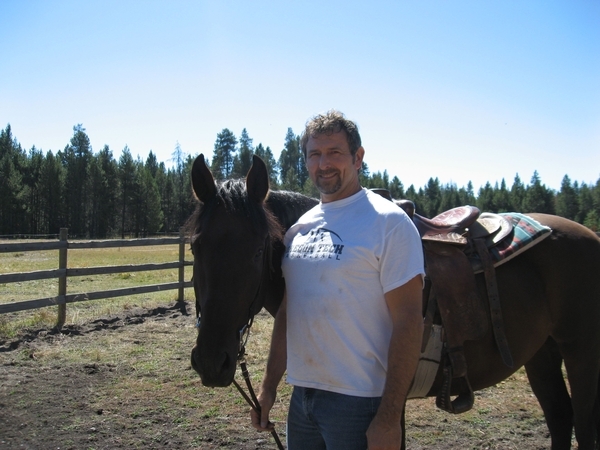 When I'm not at work you might find me in Central Oregon riding horses. My father, grandfather and great-grandfather were all carpenters. I grew up in a construction family, and remember working with my dad on houses from a young age. After high school I joined the Army, and spent six years in the infantry. When I was 26 I started my own construction business, working as a framing subcontractor and general contractor in Portland and Bend. I made a decision to move into project management and put my skills and experience to work as an employee, and opportunities opened up for me in commercial estimating as well. This career path has been very rewarding and I enjoy the challenge and detail work of putting projects together, both on paper and in the field. I believe that having ‘one foot in the blue collar world and one in the white collar world’ as well as strong computer skills has been very advantageous to my career in the construction industry. At Essex I am the Estimating Manager. Our department produces hard bids and also works closely with clients and design professionals on design-assist projects. We have a great team in the estimating department, and it’s a pleasure to work with such an experienced and professional group of people. I have two wonderful daughters, Adria and Kassi, who both graduated from Oregon universities and are doing great. On days off I spend time in both the Willamette Valley and Central Oregon, riding horses that my girlfriend Cate and I have raised, hiking, camping, and getting outdoors. I am also an avid reader, and do a bit of writing and computer programming as a hobby.